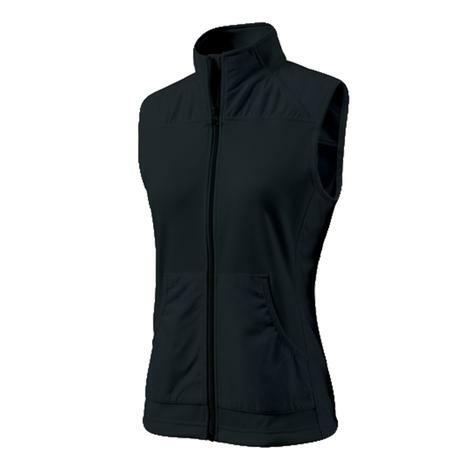 Women's Black Breeze Zip Front Vest is an ideal layering selection for cooler weather. Encompasses wind flap and chin guard as well as wind and water resistant Softex poly material to wick away the moisture. Semi Fitted styling with full length zipper.